At the Shine School of Music in Barcelona, we enjoy teaching singing and it’s one of our most popular classes. But singing a lot can take it’s toll, have you ever been singing at the top of your voice in the shower or at a rock concert? You may have experienced loosing your voice or a sore throat! These are things that can affect professional singers. 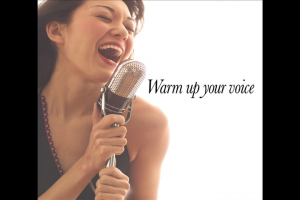 Here are some tips and tricks to help you warm up your voice for singing. If you would like to take singing lessons with us, contact us for more info! Anyone can learn to sing!